Height 11 m, Expo Park, Taejon, South-Korea, 1993. Exhibition: "Future Lies Ahead". Curator: Pontus Hulten. This image: C-print on glass, 50x63 cm, 1993-95, unique. 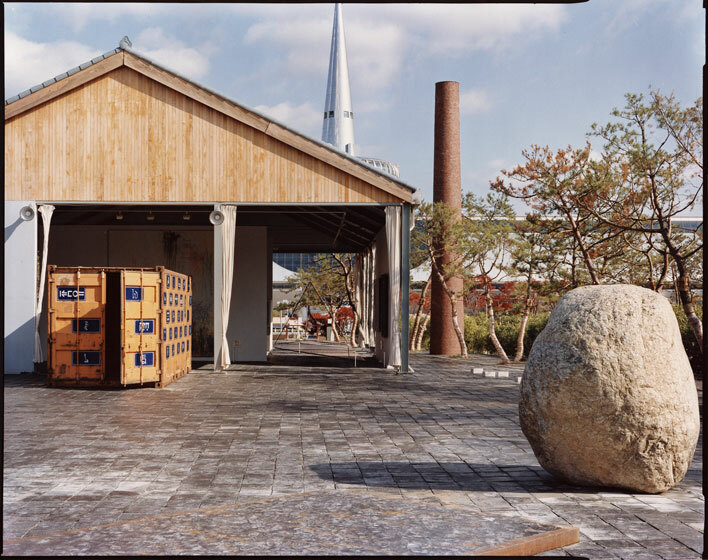 There is a photo series (in which the above inage is included) documenting the construction of the Taejon Chimney, exhibited for the first timein helsinki, at Gallery Hippolyte in 1994. Installation view. Individual photos.